Promotion seminar on the 19th national Congress of the People’s Republic of China, January 26th 2018. 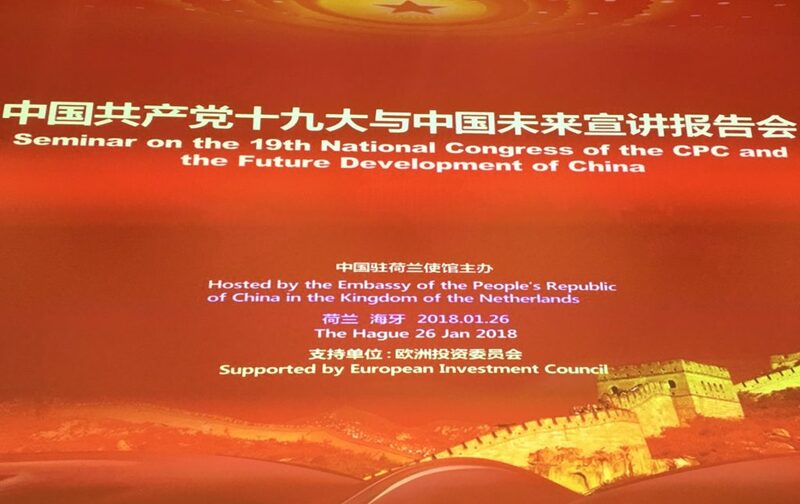 Our partner European Investment Council supported for the promotion seminar on the 19th national Congress of the People’s Republic of China on January 26th, 2018 in The Hague. 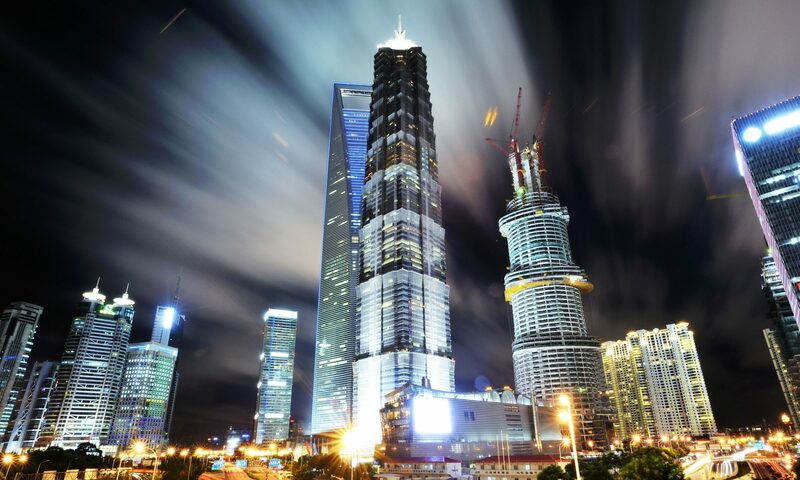 The event organized by the Chinese Embassy with a keynote speech by Li Xiaoxin, Member of the Ministerial Board, Director-General Organisational Affairs Central Committee of the Communist Party of China. 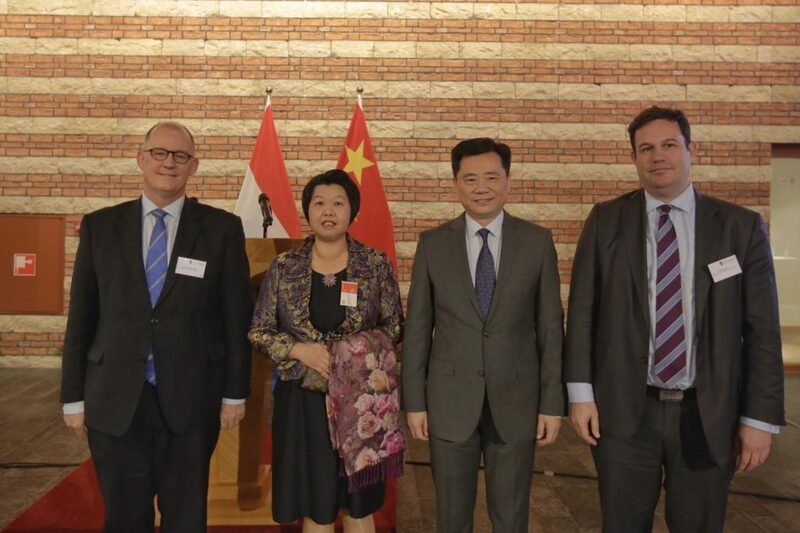 Our DCYE together with the Society “de Maatschappij” co-organised a seminar on one belt one road policy at the Chinese Embassy. H.E. Ambassador Mr. Wu gave the keynote speech.